We have purpose-built facilities - among them the well-equipped Medical Teaching Centre where students are taught during the first part of the course. We use four hospital sites and approximately 50 GP practices in the Coventry and Warwickshire area to provide teaching during the 4 years. Our partner hospitals provide first class facilities for our students including purpose built education centres, study rooms and libraries. Learning human anatomy is a large part of training to be a doctor. Here at WMS, we offer cutting-edge anatomy training with state of the art plastinations and highly skilled lecturers. We opened the Biomedical Learning Grid in 2006. This study resource is located on the ground floor of the Medical School Building and offers an alternative study space, whether you are studying in groups or as an individual and the opportunity to use a range of new technologies to support your learning experience, such as smart and clever boards.There is also a collection of key reference texts available. 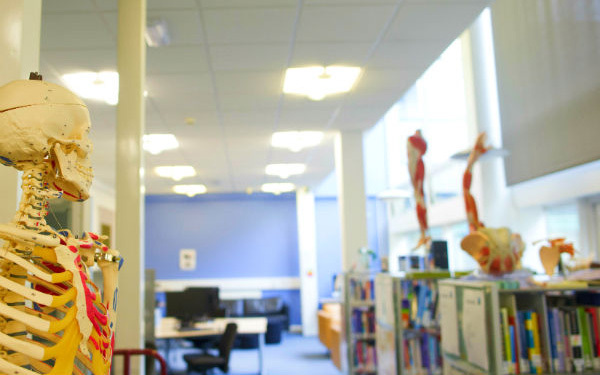 There is a BioMedical Sciences subject librarian who can help you to make the most effective use of library resources and facilities, including help with literature searching, advice on referencing, advice on accessing electronic resources and using other libraries. The University Library is situated on the central campus and is home to over 1 million books and journals. There are a range of study spaces including silent study and group study rooms, access to networked PCs, wireless access for laptops, interactive smart boards and a coffee bar. The library subscribes to a range of electronic subject resources relevant to medicine as well a wide range of full text electronic journals. You can search most of these resources from wherever you have internet access – be that on campus or home. WMS works closely with NHS and Primary Care Trusts across the local region. From the middle of Year Two onward, students will primarily be on clinical attachments in acute hospital settings in Coventry, Nuneaton, Rugby and Warwick. Experiences are also gained in primary and community care placements ranging from GP practices to outreach projects in Coventry, Warwickshire and the eastern fringes of Birmingham. This wide range of placements will equip you with a background and knowledge that will prove invaluable in your career as a doctor. The major regional hospital- University Hospital Coventry and Warwickshire NHS Trust (UHCW) opened its state of the art building at Walsgrave, Coventry in 2006 and is one of our key partners. The trust is responsible for managing two major hospitals in Coventry and Warwickshire, which between them serve a population of over a million people. 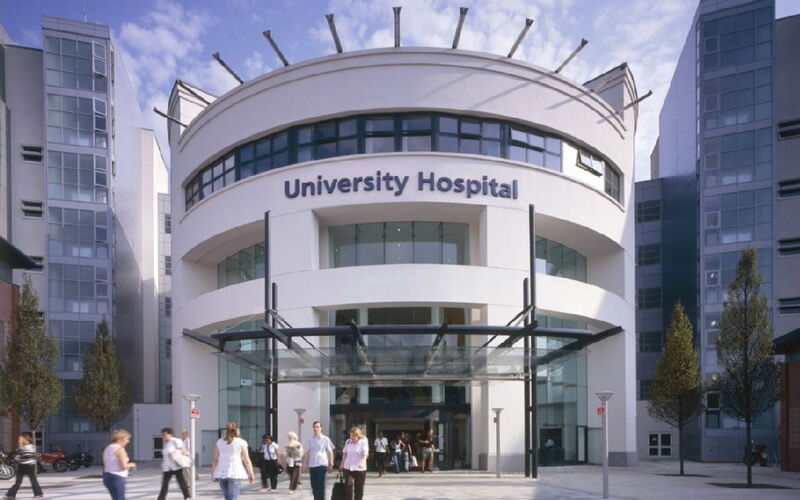 We work in close partnership with UHCW to develop innovative medical education programmes and clinical research. Amongst the new equipment at the hospital is a PET CT scanner for use in cancer diagnosis and treatment. Costing £1.6 million, the PET CT scanner is amongst only a handful of its kind in the UK. We have new equipment to teach clinical skills at UHCW, including a life-size talking dummy called Sim Man. In 2009, our surgical training centre opened. 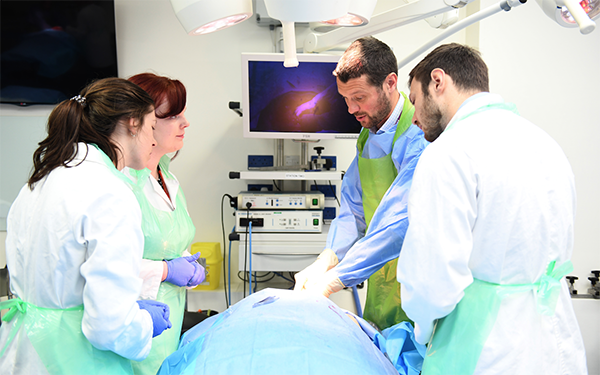 This state of the art facility provides the ideal environment for our students to learn operative techniques on cadaveric material in realistic operating theatres. Library: awarded a full Grade 3 accreditation following the visit from the NHS Library Accreditation team. Stage three is only awarded to library services that exhibit "significant evidence of excellence and innovation"
The George Eliot Hospital NHS Trust is a single site hospital on the outskirts of Nuneaton, Warwickshire. We provide a range of traditional district general hospital health services including medical, surgical and maternity care. The hospital serves a population of approximately 250,000 from the surrounding areas of Nuneaton and Bedworth, North Warwickshire, South West Leicestershire and Northern Coventry. They work closely with other hospitals for services like cancer, pathology and coronary heart disease, amongst others. The hospital also provides some services such as physiotherapy and occupational therapy in the community. Warwick hospital is situated in the northwest of Warwick and is part of South Warwickshire NHS Foundation Trust. 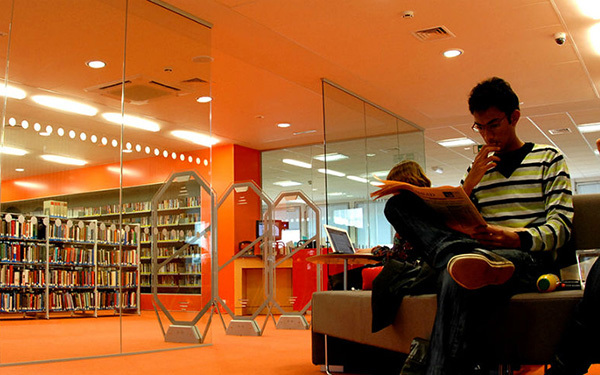 There is a purpose-built Education Centre providing excellent facilities for students, including a PC study room and library. In 2007, a new clinical skills room opened, allowing WMS students to practice medical procedures in a safe environment to perfect their techniques. The Alexandra hospital is a district general hospital and continues to be a Warwick clinical partner since the inception of Warwick Medical School Clinical Partnerships in 2003. As part of the multi-site Worcestershire Acute Hospitals NHS Trust, the hospital also provides student placements for Birmingham Medical School. 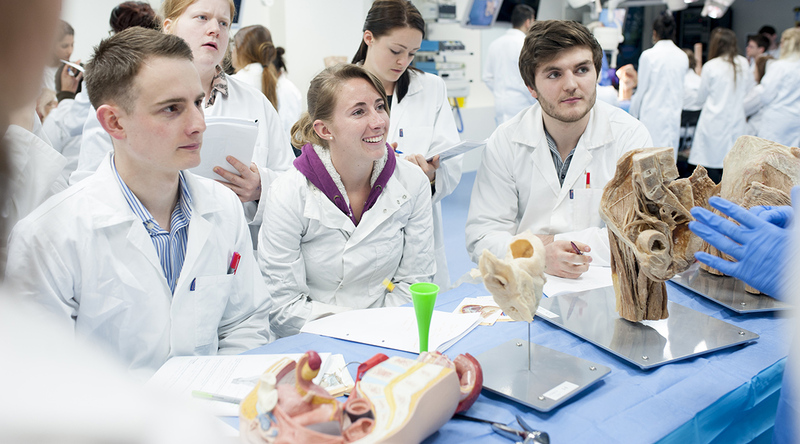 Students have access to patients with undifferentiated medical problems and benefit from an enthusiastic multi-disciplinary teaching faculty including specialist nurses, physiotherapists, occupational therapists, pharmacists, clinical teaching fellows and trainee doctors led by consultants. The £3 million multi-disciplinary Education Centre, inaugurated in 2007, has a 115-seat lecture theatre, clinical skills teaching facilities, dedicated rooms for medical student teaching, facilities for high fidelity simulation and an excellent on-site library with access to e-journals and modern teaching aides including Up-To-Date. All students receive an induction and a structured weekly timetable providing them with clinical exposure, ward based and outpatient teaching, tutorials and simulation. Each clinical pair of students has a named consultant supervisor. Student feedback has been consistently good or excellent over many years. The hospital and its staff take pride in welcoming students and contributing to their education, training and development. WMS is the first in the UK to order a complete collection of plastinated prosections and cross sections for anatomy teaching directly from Gunther von Hagens’ Plastinarium in Germany (with funding from the Strategic Health Authority). The prosections, some of which individually cost up to £40,000, are invaluable for training the surgeons and doctors of the future, both in anatomy tuition and for hands-on surgical training and education. Plastination is a technique that stops decomposition and allows individual tissues and organs or whole bodies to be preserved. Decomposition is a natural process triggered by cell enzymes released after death and later completed when putrification bacteria and other microorganisms colonize and further break down the body. Plastination removes water and fats from the body’s tissues and replaces them with plastic, depriving bacteria of the conditions they need to survive. The body is embalmed with formaldehyde, and then dissected. The water and fatty tissues in the body are replaced with acetone, a solvent that evaporates easily. Then the acetone is replaced with a polymer solution—a liquid plastic. To get the polymer into each and every cell, “a specimen is placed in a vacuum chamber and the pressure is reduced to the point where the [acetone] boils. The acetone is suctioned out of the tissue at the moment it vaporizes, and the resulting vacuum in the specimen causes the polymer solution to permeate the tissue.” The process can take a few days for thin slices, or weeks for entire bodies. After each cell is infused with liquid plastic, the body is posed. Needles and pieces of foam rubber are used to hold muscles and nerves in place until the plastic is hardened.